Hello, hello, hello, Dear Readers! Happy Wednesday - and happy cover reveal day, too! Last week I showed you the luscious cover art for BAREFOOT ON THE WIND, the Japanese-influenced retelling of Beauty and the Beast which is coming out in September. The official page for the book is now up on my website, too. It's a companion novel to Shadows on the Moon, set in the same fairytale realm (although with no overlapping characters) so because of this, and because it's been half a decade - and wow that makes me feel old - since Shadows was first released in the UK, Walker Books have decided to publish a new edition of Shadows on the Moon. This new version will have brand new cover art that complements the BAREFOOT ON THE WIND cover, which of course is super-exciting, and I'll get to that in a moment. 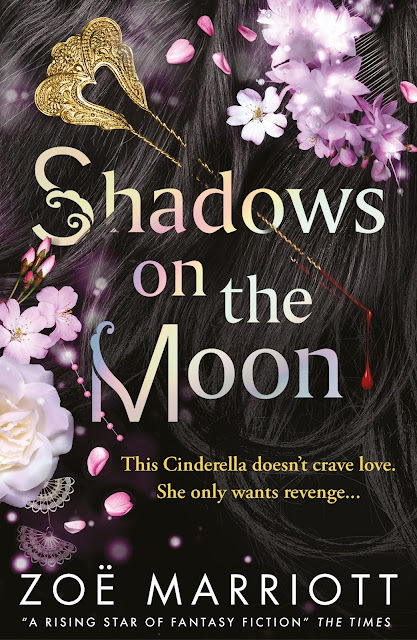 But it also has other stuff: new bonus content which has never been available in print before, including something readers have been asking me for pretty much since Shadows hit the shelves back in 2011: a glimpse into Suzume's new life in Athazie. Not only will the this edition of the book contain love poetry written and exchanged by Otieno and Suzume after the conclusion of the story's events - it also contains an exclusive short story which acts as a kind of 'epilogue' to Shadows on the Moon. I'm very proud of this story, and I hope it will be a satisfying little gift to everyone who loved the book. I hope you all love this as much as I do, Dear Readers, even though it's very different from the original version (with some significant things in common, of course). Let me know your opinions in the comments!